Dr. Ed Trizzino always appreciates feedback from his valued patients. To date, we’re thrilled to have collected 138 reviews with an average rating of 4.99 out of 5 stars. Please read what others are saying about Dr. Ed Trizzino below, and as always, we would love to collect your feedback. I appreciate my time with Dr Trizzino. We work together on strategies for dental work that incorporate my overall health. I look forward to our visits, I get lots of info. Dr. T and Melissa are the best dental duo in the ATL hands down! Love Dr T. Always great! Thorough, honest, skilled and warmly personal care. Best dentist ever. I wouldn’t trade my new teeth for the world!! Extremely detailed exam. I always feel I know exactly what the state of my oral health is. Probably the best first visit ever! Felt completely at home. Dr. Trizzino and his staff always make me feel at ease and confident that I am getting high quality service. 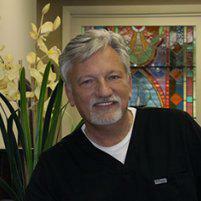 He is the best dentist I've ever had - highly recommended! Excellent quality dentistry and an outstanding staff. Dr Trizzino was very thorough in my exam. He took time to explain everything and to make me comfortable. This was my first time here and it was a good experience. Everyone was friendly as well as professional.